On a recent visit to Thonburi, we visited the market at Wat Bangnampung, or talad bangnampung. 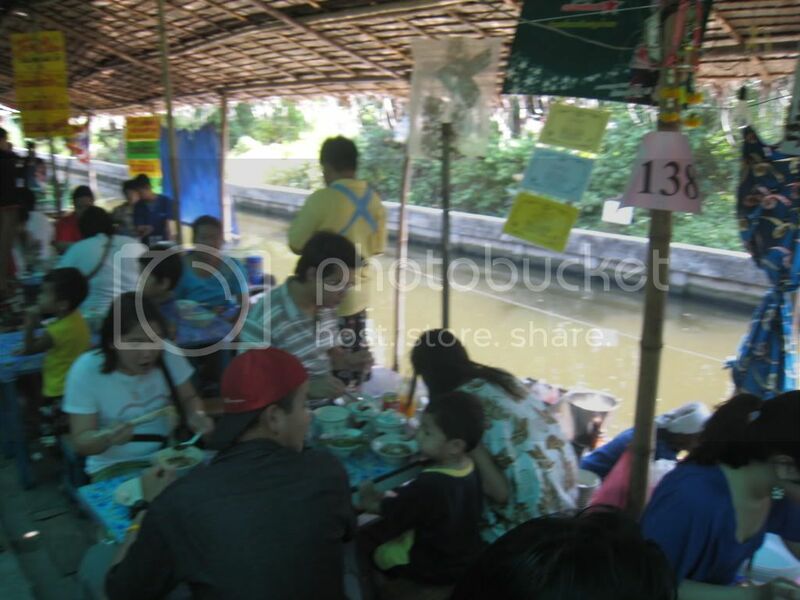 This market is built on concrete walkways along a canal and over a protected wetland area. The temple uses the market to stir tourists and attention to the conservation efforts to protect the wetlands, which is home to the popular fireflies. The area also offers homestays for those who want to see how the locals live and learn about the local agriculture. The market itself offers tons of delicious food and deserts, many of which are hard to find in your average market. Here you’ll find noodles alongside the canal and you must sit barely a foot off the ground on a foot stool. 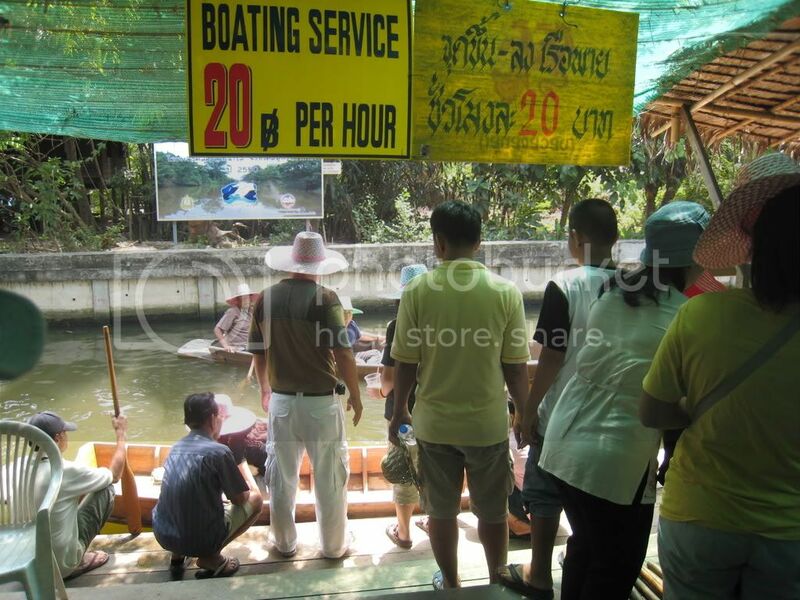 In the canal, you can see families renting wooden boats and paddling them back and forth in the water for just 20 baht per hour. Noodle shop along the canal. 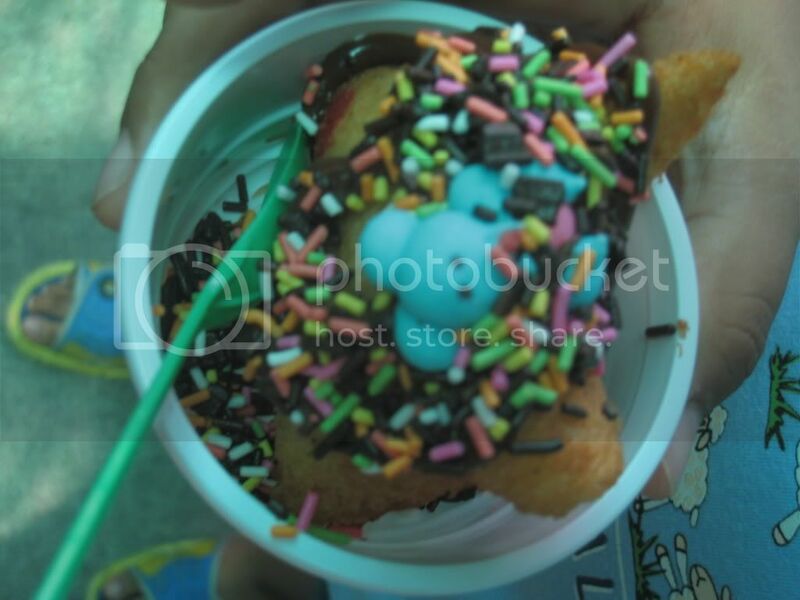 One of the treats available at the market was fried ice cream. 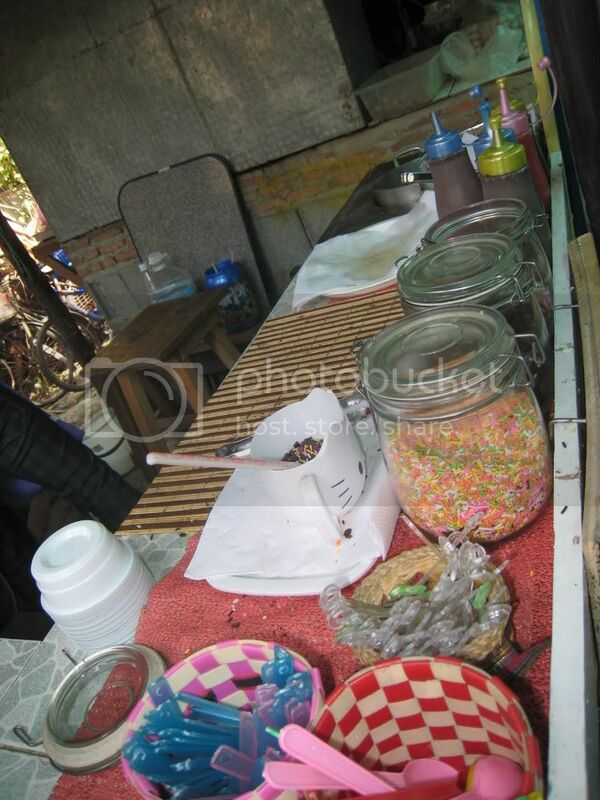 For 10 baht, you can have the ice cream flavor of your choice dipped in batter and fried. Finally, the fried ice cream is served in a styrofoam dish with a few toppings like sprinkles, nuts or jellies. Toppings for the fried ice cream in jars. Fried ice cream with sprinkles on top.